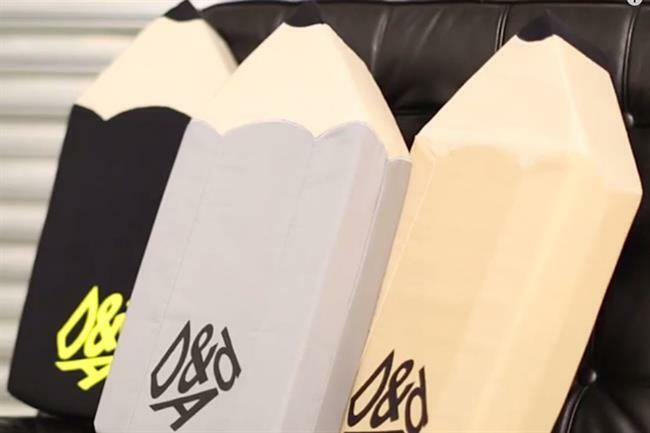 D&AD's leaders counter Amir Kassaei's suggestion that DDB will produce less awards submissions in order to stop what he has called "madness". Awards schemes were started 50, 60, 70 years ago with honourable intentions. D&AD, for instance, was set up in 1962 by a group of designers, photographers and ad people as a charity, to ‘stimulate not congratulate’. It was based on a belief that creative excellence produces better outcomes – commercially, socially, culturally, politically, environmentally; and that creativity and innovation were important drivers of business and enhanced our society. They also usually come attached to a party. Everyone likes a party. The best agencies and design studios took great pride in their work and awards were a way of raising the bar, building reputation, recruiting and retaining the best talent, and driving the business forward. And, for the most part, they won those awards for work that the public had seen and enjoyed. It’s no coincidence that the most awarded agencies back in the 70s and 80s were also the best, doing their award winning work for their biggest clients. And awards were a great source of satisfaction to the individual winners. People take pride in their work and here was happiness-creating affirmation. Awards stimulated an industry stuffed with people whom thrived on confidence. And then things started to change. The business became more complex. The numbers got bigger. Risk aversion increased and the desire not to fail overcame the desire to succeed. Research prevailed. It became harder for agencies to strut their stuff on big budget accounts (the difference between great agencies and mediocre ones has never been about what gets written, it’s about what gets made). Cynicism crept in and with it, work that wasn’t written to sell stuff, but rather to win awards. Obscure tattoo parlours, non-existent glues, board games that hadn’t ever had a budget, typewriter correction fluid and other strange oddities started to win big prizes. Agencies became adept at managing the process in their favour, understandably desperate to show their creative prowess, increasingly frustrated by their big clients’ conservatism. All the big shows put in stricter rules. Was the work done for a real product? Was it a real brief? Did the work run? Did the client pay for it? Senior people in the entering companies were asked to attest to this and all the shows started to check entries more thoroughly. The result is that nearly all work now conforms to the letter of the law. But some, sadly, is still against the spirit of it. ‘Scam’ work – or ‘proactive creativity’ as it is sometimes euphemistically called – certainly gets through. It’s become a bit like drugs in sport; everyone knows it happens, sometimes it produces ‘winners’, but actually it makes the whole thing a bit of a waste of time. It also damages the ad industry’s reputation – with clients, potential recruits, investors and commentators. It’s this situation that you are calling our attention to, Amir. Rightly. So how do we address it? Do awards shows still have a valuable role in our business? It won’t surprise you to know that we think they do. The best shows take great pride in the integrity of their judging process. And the best shows have the best jurors – who are wisely adept at spotting non-kosher work. Having your work awarded by your creative heroes is a fantastic accolade. The best shows curate a collection of the very best work from around the world from the previous 12 months and provide inspiration for the whole community and an important and beautiful document for posterity. The cream of what we do deserves to be remembered. The best shows fire up and help us recruit new generations of talent; talent that is increasingly looking beyond advertising and design for fulfillment and without which our industry suffers and eventually dies. The best shows inspire us to experiment, push boundaries, test new technologies, all in the interests of engaging more effectively and serving our clients better. The best shows pour their profits back into the business, identifying and nurturing young talent, running extensive education programmes (like our New Blood programme), campaigning for greater diversity and better gender balance, reaching out to and inspiring people beyond our regular, white, middle class recruitment pool. The best shows have understood what an increasing number of clients get, that growing sustainably and ‘doing well by doing good’ is the only way forward for a planet that currently seeks infinite growth but has only finite resources; and are inspiring and enabling the kind of work that supports this, in turn helping develop new language, process, strategy tools and metrics for the business. The best shows work hard to demonstrate the value of what we do – and aspire to do better – to the client community. A remarkably high percentage of delegates to Cannes are clients and while this has changed the nature of the festival it has undoubtedly done a great service to our business. The best shows have their hearts very much in the right place, seeking to serve the industry by, in the words of D&AD’s mission statement, "stimulating, celebrating and enabling creative excellence" and using all our resources to bring talent into the business and help us all do great things. Of course we’re not perfect. The accusation that some winning work hasn’t gone near real consumers or sold any product has some weight. Perhaps we have become overly self-referential. Perhaps there is a small minority who deliberately game the system. But it would be a very great shame, on all of us, if we were to let some bad behavior at the margins ruin the whole, value-creating edifice. We have plans. Watch this space.